We have so many movies dat are translated from one language to another. Why we cannot have La La Land in Singlish ah? Can or cannot lah? To this I say CAN LAH!!! 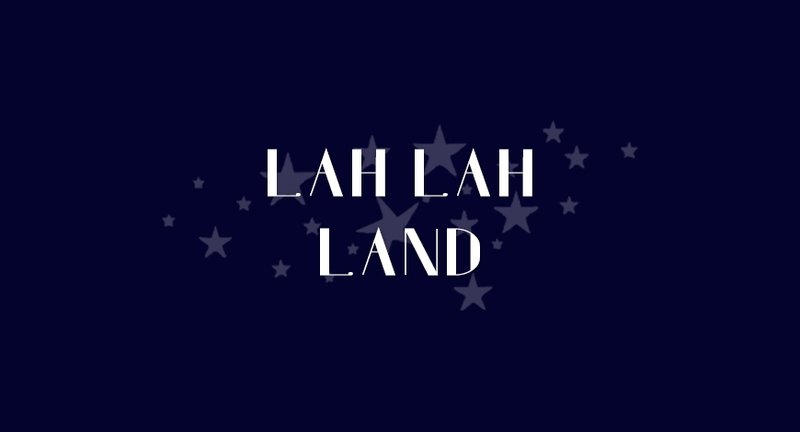 Lah Lah Land, the Singaporean version of La La Land. If you’ve never had the good fortune of hearing a Singaporean accent, you have definitely been missing out on life. The first time I heard it, it was not that pleasant, but the more I immersed myself into Singaporean culture, the more Singlish sounded like music to me. My idea is based off of this Singlish dubbed video of Beauty and the Beast. If Singlish is music to my ears, why not have La La Land, a classic musical, translated into Singlish? Also, with the craze that Crazy Rich Asians has caused, people are becoming more and more accustomed to Singlish. Did you also happen to know that there are Singlish words in the Oxford English Dictionary? WAH, I’m so shook LAH! Maybe we don’t even have to dub the original, maybe we can even do a whole new musical set in Singapore. I’m sure this is something that is very possible post-CRA effect. If you didn’t know CRA in this case does not stand for Canada Revenue Agency but for Crazy Rich Asians, both being quite TAXING (kthxbai).